Any texture is great for this pony. If you have straight hair or slight wave, brush it out. If you have curly hair or want to maintain your natural wave for this ponytail, then skip the brushing. Put the hair behind your ears in a low ponytail and secure using a clear elastic. You’ll leave both sections from the front/sides out. If you have really thick hair and you want to do this, you might consider taking more hair into the ponytail and leaving less out front. If your sections in front are too thick, it could be hard to conceal them later. 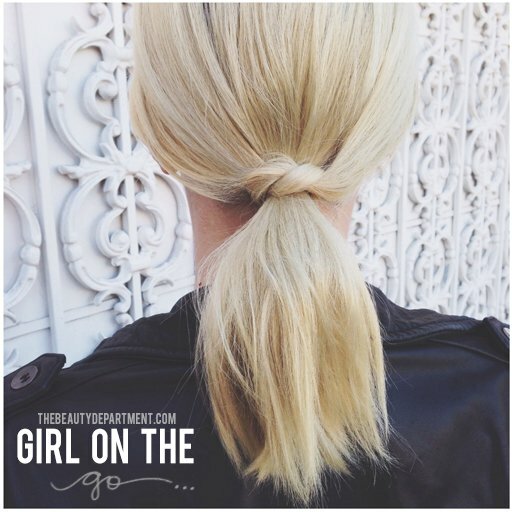 Take both side sections, give them a light mist of strong hold hairspray, then pull them back over the top of the ponytail. Twist them into a half knot. Now take those two pieces and wrap them around the ponytail and under. 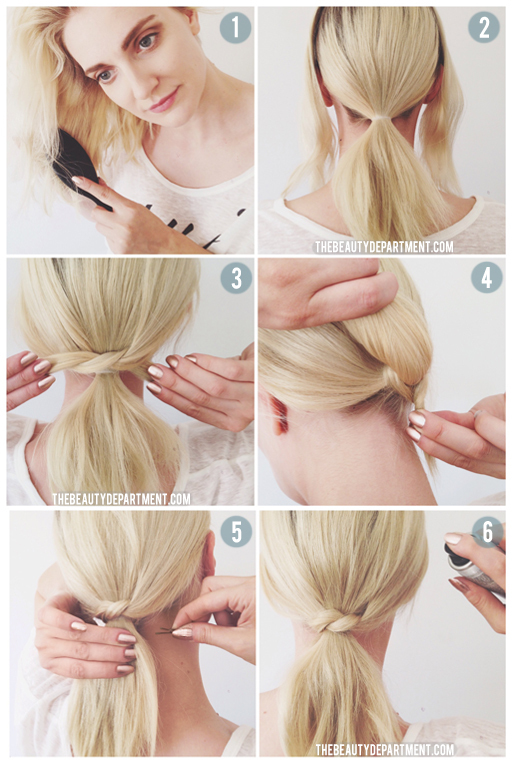 Use small/strong bobby pins to secure the remaining pieces under the ponytail. We kind of “stuffed” the longer bits up underneath the base of the ponytail before bobby pinning. FInish off by smoothing out any flyaway hairs with a light veil of hairspray! That’s literally it. Are you guys into these simple styles? When you try it on yourself, take a picture and post it on instagram and tag it with #TBDgirlonthego so we can see it and possibly repost!